IPAM, which stands for IP Address Management software, is an essential tools for keeping track of all IP addresses within your LAN and Network. We've seen all sorts of ways to track IP addresses within our time as IT professionals, from using Microsoft Excel spreadsheets and formulas to the windows specific DHCP manager for viewing IP address allocation. 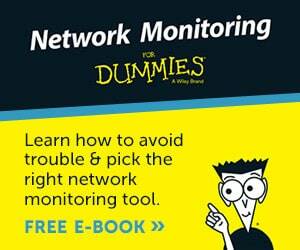 These methods are problematic when your network starts to grow and IP addresses change frequently. Issues that usually come up when using a spreadsheet based tracking system include dormant or stale machines, DHCP IP addresses changes, static IP changes, IP overlaps and conflicts, BYOD (Bring your Own Device) issues and much more. But these manual solutions don't really fit the bill when it comes to truly managing IP ranges within your company, which is why a proper IPAM software package is far better. Especially with many companies and larger organizations now moving from IPv4 to IPv6, tracking IP addresses is crucial for the migration process, while also helping correctly estimating future needs and growth in the business. The solution to these issues and more lies in a dedicated software package that has all the information, databases, alerts, tracking and management built into its feature set. 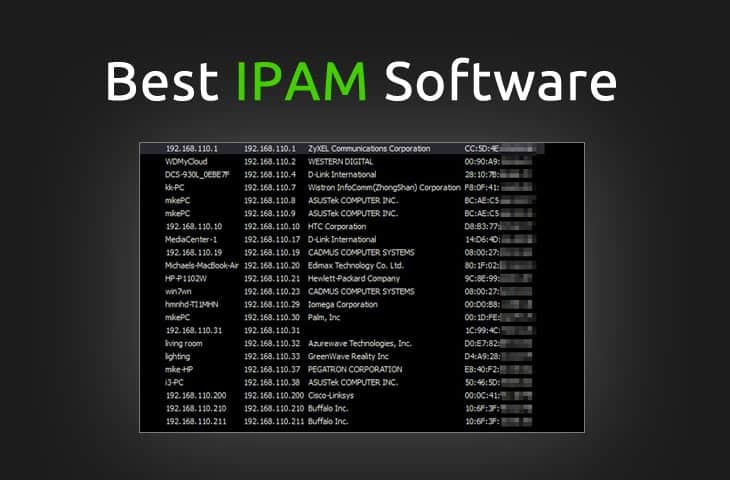 We'll review the Best IPAM software packages, both FREE and paid versions, and go over some of their main features and highlights. We recommend any business with more than ten to fifteen users implement an IP tracking system at least, as it'll greatly reduce time spent tracking all the changes within the IT department, as well as provide integrated auto-mapping of IP Addresses, DHCP server management, DNS allocation, and more! Before we get into the software review portion of this guide, lets discuss the basics of what IP address management software does and the main components. The most important function of IPAM software is to monitor and manage DHCP, DNS and IP addresses – this is referred to as “DDI“. 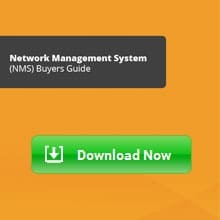 There are many types of products available on the market that serve this purpose, ranging from cloud hosted platforms to desktop software products to virtualized or physical hardware appliances that are meant to completely replace your existing DNS/DHCP infrastructure, while also providing enhanced tools and features above and beyond the virtual-only options. Traditionally though, most IP address management systems will seamlessly integrate into your Windows (2003, 2008 and 2012 R2) environment while providing a single location or console for managing all things related to your DNS/DHCP and IP address setup. Most IP management software will include features such as IP address auto-discovery, automated databasing of all devices on your network (laptops, desktops, VoIP nodes, wireless devices, etc.) all while eliminating issues like IP sprawl, stale IP address records within DNS/DHCP, IP Conflicts and so forth while also helping to minimize downtime. Lets review the most popular IP Management software and hardware appliances on the market right now, along with some of the features they bring the table and the level of integration features they have for ease-of-use and scalability. 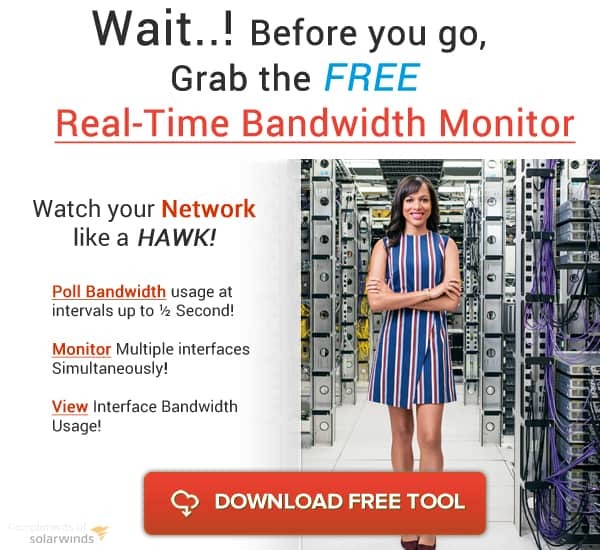 SolarWinds' IP Address Manager does much of the above and then more! 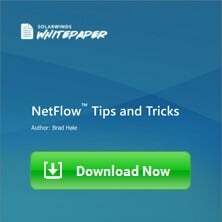 It covers all your basics – automatic IP management via subnet discovery (or Bulk Import Spreadsheets if needed) and IP scanning as well as easy DHCP/DNS management for forwarding and pointing traffic. 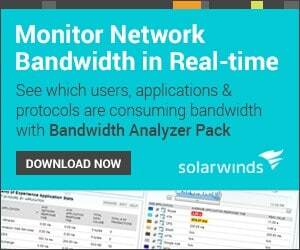 Any basic management tool has to have these features, but the SolarWinds IP Address Manager goes a good deal further. It includes the ability to easily delegate permissions to other admins can manage a smaller scale of the overall network, giving you the ability to delegate and share the responsibility without having to open your entire IP range to every admin. 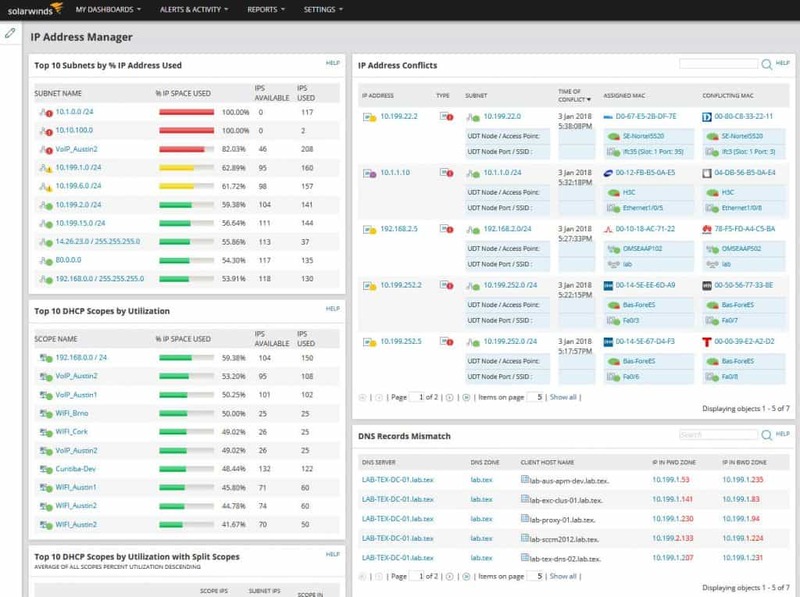 It also automatically detects and alerts to IP conflicts or issues, takes note of DNS issues, and has an extensive history tracking all of this so that you have precious information logged for troubleshooting or explanation down the line. 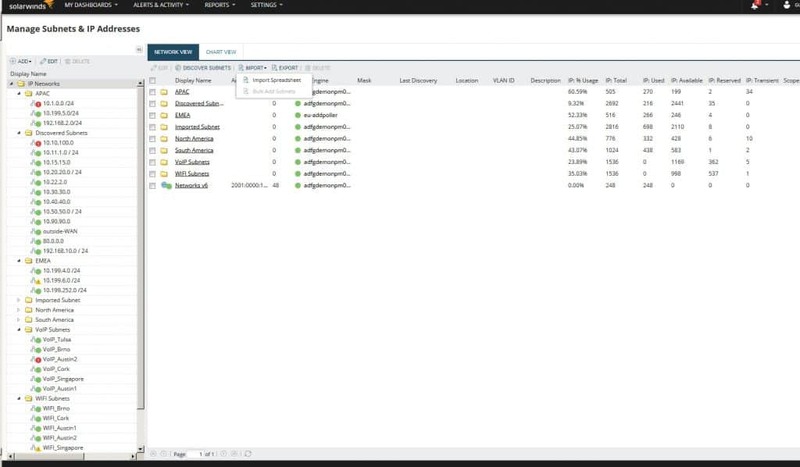 With the most recent release of IP Address Manager v4.6, you now have the ability to integrate directly into VMware vRealize Orchestrator to manage you workflow and automate tasks for your VM environment. This integration further allows you to run commands or scripts including Adding & Removing DNS A (host) Records for an IP Address, Create IP Address Reservations, Change IP Node Status and much more. 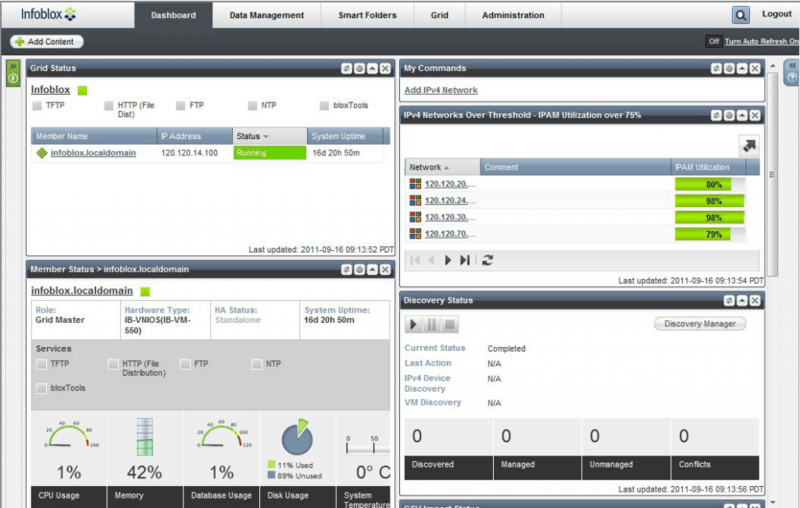 Compatibility includes: vCenter Server 6.5, vRealize Orchestrator 7.2 and vRealize Automation 7.2. Solarwinds has also added Full Support for DHCP Failover that is part of Windows Server 2012 R2 & Windows Server 2016. This allows you to configure Failover for multiple DCHP scopes within the IP Address Manager screen without having to leave the software. This is a huge advantage over configuring this feature within Windows server where you can only configure 1 scope at a time. Scanning and Polling multiple subnets will be even faster now with the option of Additional Polling Engine support has been added to the latest version. When dealing with multiple subnets that are larger in size, adding another polling engine will decrease the scan/polling times significantly! This allows you to keep your IPAM updated with the latest changes within your network and subnets quickly and more often. We highly recommend downloading and testing this in your network – their Latest features and integration with Windows Server as well was support for ISC DCHP for Red Hat Enterprise Linux (RHEL) version 7.x is another reason to give them a try. BlueCat's IPAM is strongly focused towards the enterprise level networks with a lot of systems running on it that also need the ability to frequently and easily adjust DNS/IP configurations without much fuss. It has a great amount of delegation ability in terms of permissions for segmenting your network to both share control while still maintaining it. It even allows you to share not just access to certain segments of network administration but to also lock off certain tools from that group, making sure that nobody has the ability to click a button they absolutely should never click. It also includes the usual gambit of basic information of all devices connected – IP address, DNS/DHCP data, DHCP lease, DNS host records, and even MAC addresses! BT's Diamond IP is a robust software with a huge variety of options. 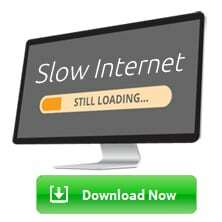 Some network administrators may want to focus on the minimalist approach and get basic features – IP, DHCP, DNS, etc. 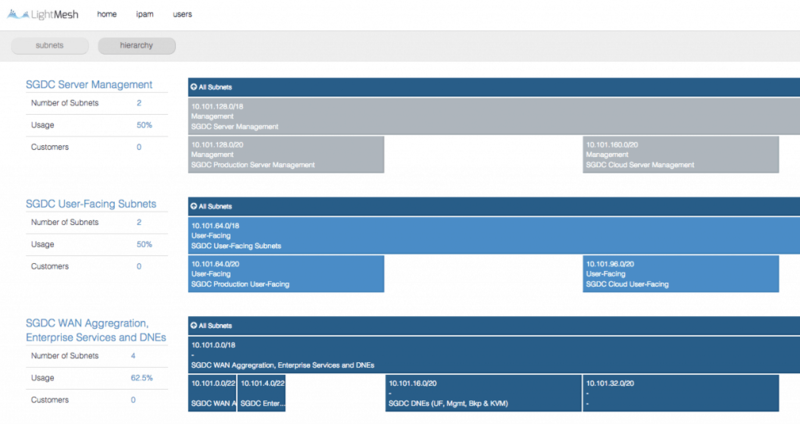 tracking and management as you'd expect from any IPAM software – but GlobalServices offers a great deal more potentially with their BT Diamond IP software. They offer staffed management and support of your networks to take some of the load off your back, if you've got an environment large enough to justify the need and the cost! The Infoblox Trinzic is a physical piece of hardware with a great deal of built-in ability to help manage and aide your network's health. Some approaches are purely client-based and performed via software, but there are just as many options which are based around powerful robust devices such as the Trinzic! It fits into your network in much the same way as any router, switch, or other device would and, as you might imagine, the interface is accessed in precisely the same way. 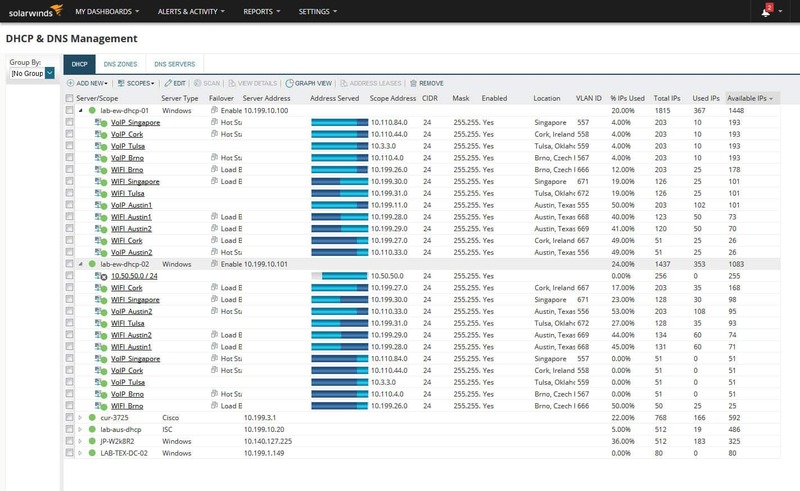 The huge benefit here is that you don't need to manage software between systems or worry about having it installed on any particular system for managing your network, and the Trinzic will keep its own logs and other information handy itself! The downside is that it does create another hardware-based point of failure and can be difficult to quickly manage if something goes catastrophically wrong. With your management tools centralized you can easily assure things are running smoothly, or make adjustments on the fly, from anywhere. 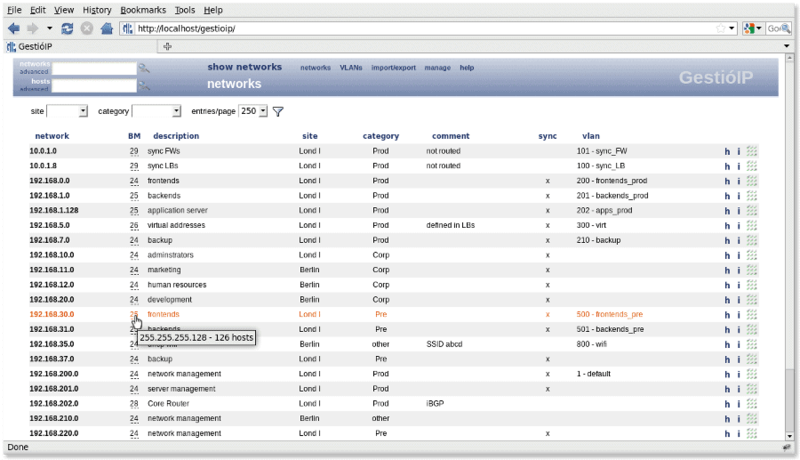 LightMesh's IPAM has many of the same features that are all but necessary in this kind of tool, as far as basic IP/DHCP/DNS discovery and tracking in all forms, as well as MAC address discovery and tracking. The strength of this particular piece of software comes in the form of its visual interface. 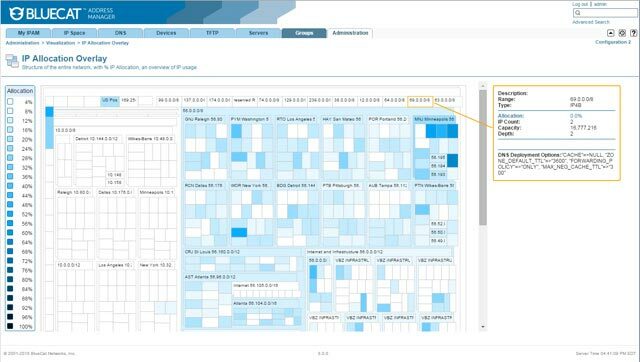 Lightmesh's IPAM has a splendidly visually intuitive interface that makes it easier than with some other software to manage and peruse your network, whether checking on the availability and status of DHCP reservations or jumping through a line of connections to find out what isn't working and where. GestioIP is a relatively simple tool, but it also boasts an impressively ‘Free' price-tag, which makes it hard to argue against when you just need some reasonably basic level functionality! It has powerful network discovery tools and functions for easy tracking and mapping of your network, and even has a Search-Engine based expression system for making intuitive queries about your network! On top of it all GestioIP is web-based which gives you a great deal of freedom in utilization and accessing your crucial IPAM software, and even has some features for managing VLANs! Alcatel-Lucent's offering is two-fold, with options both physical and virtual there's almost no environment that couldn't benefit from their systems and almost no combination of features or capabilities that one could be found wanting for. Both support a wide range of platforms and vendors, and scale immensely from small virtual-only solutions for appropriate environments all the way up to multiple network spaces to datacenters with a mix of physical and virtual! Device42 takes a slightly more specific approach with IPAM by gearing slightly toward data center management. It has automated visual discovery and organization on server racks, and can make your life a whole lot easier if that's what you're managing! Device42's visual display is positively invaluable when you're handling a series of racks and even manages topography on the application level across several racks! It even has a built-in QR code generation and management system so as to make it even easier to move and adjust hardware without having to remember to make those same adjustments in your IPAM software manually. 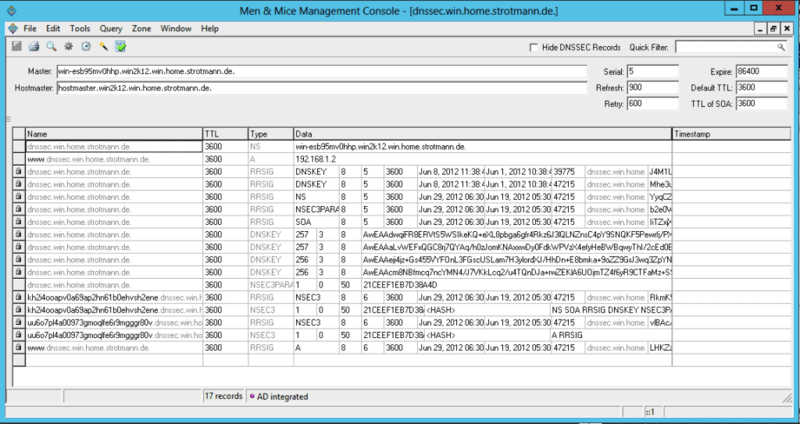 Men and Mice's IPAM stands out in one particular way – some IPAM software falters when it comes to Active Directory discovery and management, but this software does not! It's therefore exceptional in environments heavy on AD use where the powerful API will give you far more ability to make the right calls and automation to simplify and solidify management of the network. 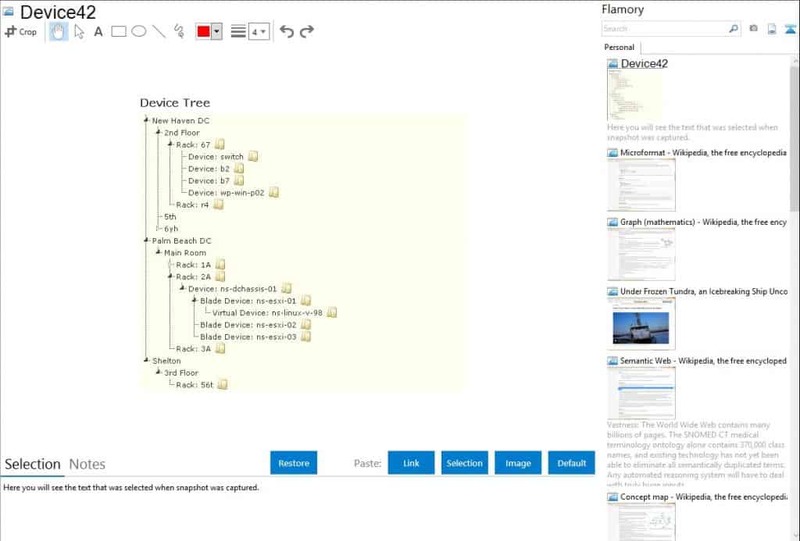 It even has an extensive built in scripting ability to further aid in automation of various common tasks! TCPWave takes a somewhat unique non-BIND approach to IPAM and makes a bold claim of near infinite scalability. Whereas some IPAM solutions will falter as a business grows and grows and as data center becomes the plural data centers, TCPWave will stay steady and reliable and grow just as easily. Right along with immense scalability TCPWave emphasizes the need for security as well, and comes with a host of API functionality, CLI framework, and even more. IP Plan is a fairly cut and dry bare-bones IPAM that has a strong focus towards the *NIX environments, from Linux/Unix to Fedora and all the way to Debian, Mandrake, and beyond. Although it hasn't been updated in some time, and may not be anymore, that isn't always a bad sign, especially for an open-source piece of software. It does what it needs to do and does it will! While limited by the operating environment, its an excellent choice for managing somewhat smaller *NIX based or *NIX heavy environments! NiPaP is a quirky free-ware open-source option that makes a rather bold claim – “NIPAP is the best open source IPAM in the known universe.” Whether or not that's entirely accurate, it does spark some rather interesting thoughts by taking unusual approaches to traditional IPAM management. The software is written in Python and handles all the standard basic network management, but also boasts robust search ability, extreme speed in automation, exceptionally deep documentation, integrated statistics, and has both a web-interface and CLI option. It's a software for network engineers built by network engineers and was originally custom built to handle a certain service provider in Europe!